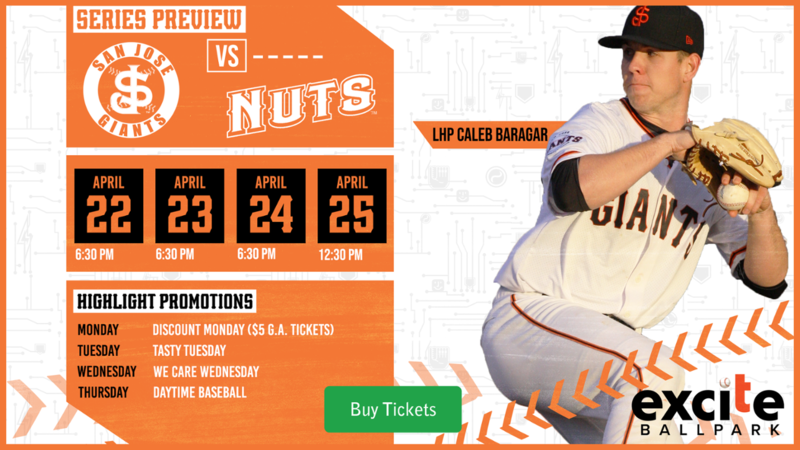 The San Jose Giants Special Event Ticket Series offers fans a unique opportunity to take home exclusive memorabillia, collector's items and experiences to go with their game ticket all at a discounted price. The Special Event Ticket Series is an exciting addition that provides even more amazing add-ons for fans of all ages. Click the button to learn more! The Rancho Cucamonga Quakes broke open a close game late en route to an 11-4 victory over the Giants on Saturday evening at LoanMart Field. The four hour, 12 minute marathon contest included a combined 17 walks and 27 strikeouts between the two teams as San Jose dropped two of three to the Quakes.